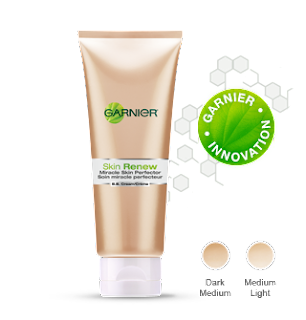 "Skin Renew" by Garnier! This BB Cream is a must have for your makeup bag. C&C Girl Jessie Sulidis and her mother, makeup artist Kim Sulidis, swear by this miracle product. It really works! It's best applied after your morning skincare regime (Cleanse, Tone, Moisturize) after your moisturizer. It acts as a base before applying your foundation and completely hydrates the skin for the day protecting it against harmful environmental factors. In just 4 uses we both saw dramatic results with skin brightening and a more even skin tone. It makes for a flawless finish and comes in two tones; Dark Medium, and Medium Light! It's definitely a product C&C Girls recommend! For additional product information click here!